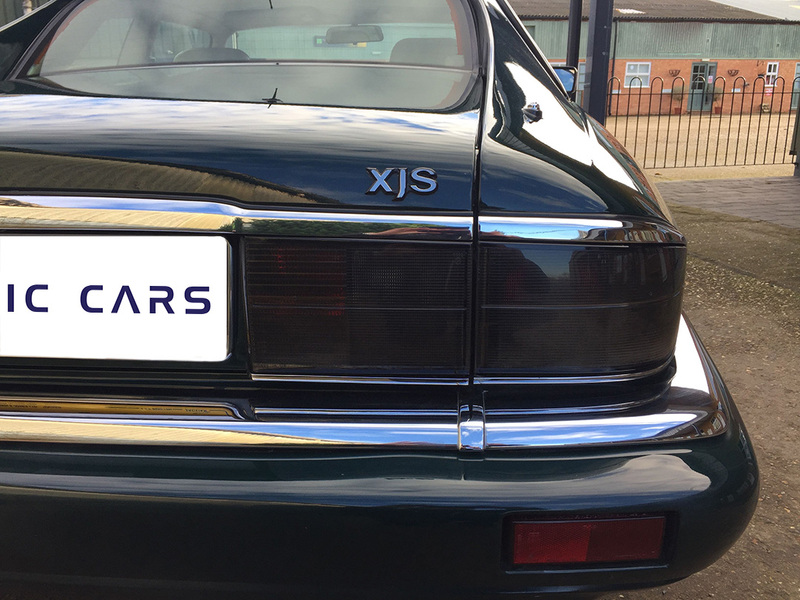 Presenting on behalf of our client this superb Jaguar XJS 4.0 Auto Celebration. 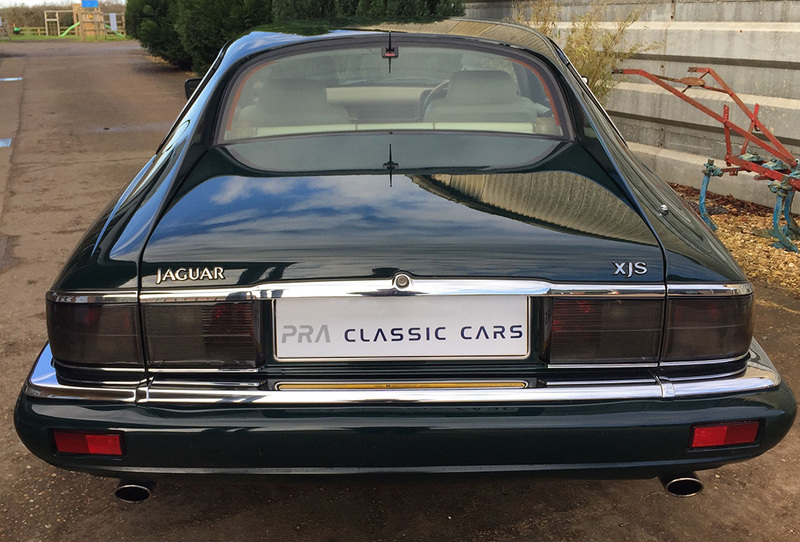 The Celebration was launched by Jaguar to mark its 75th anniversary. 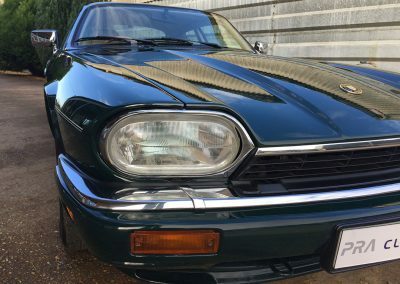 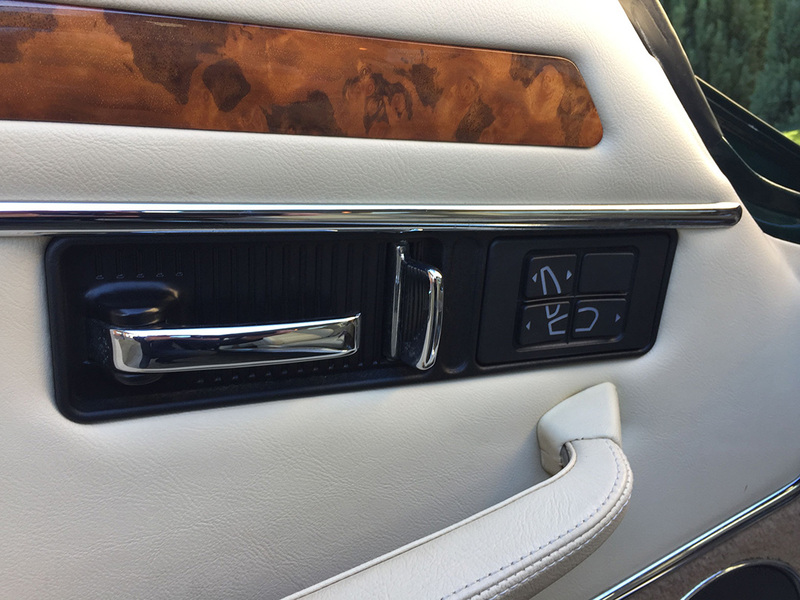 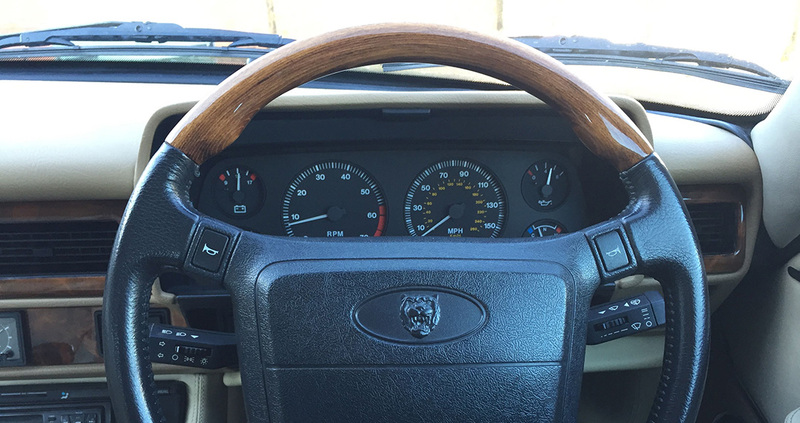 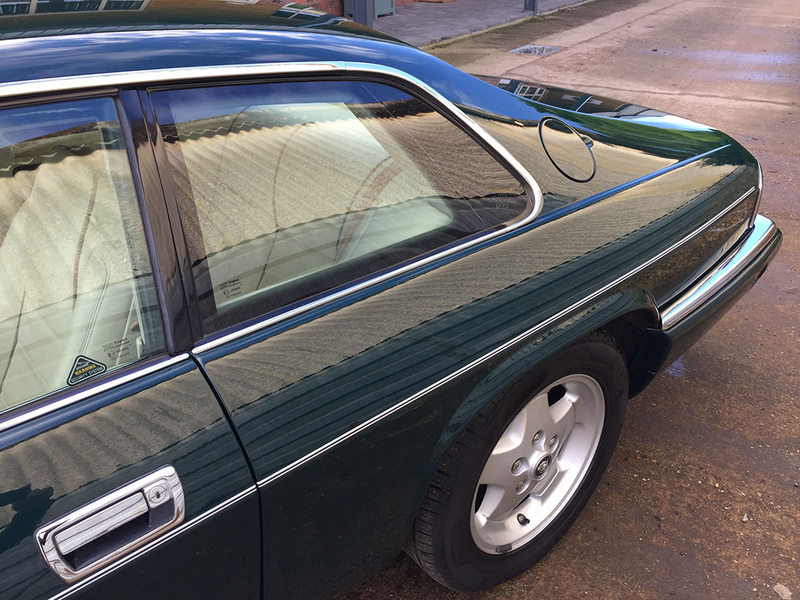 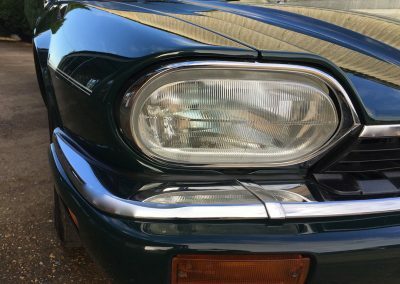 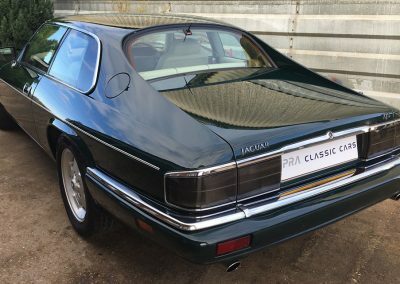 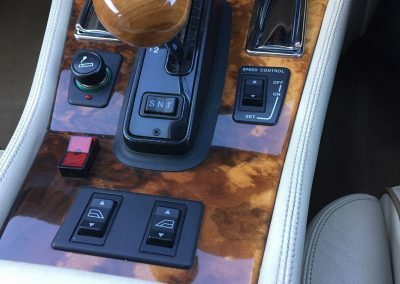 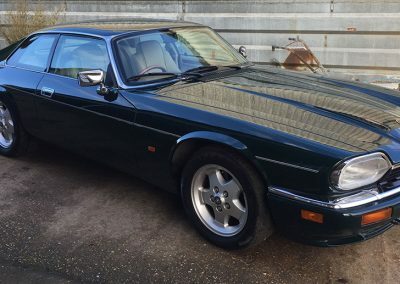 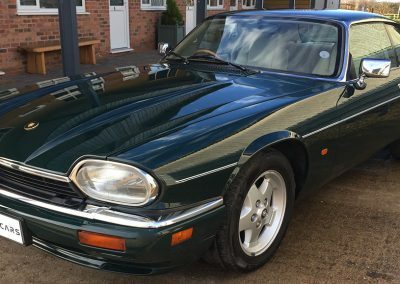 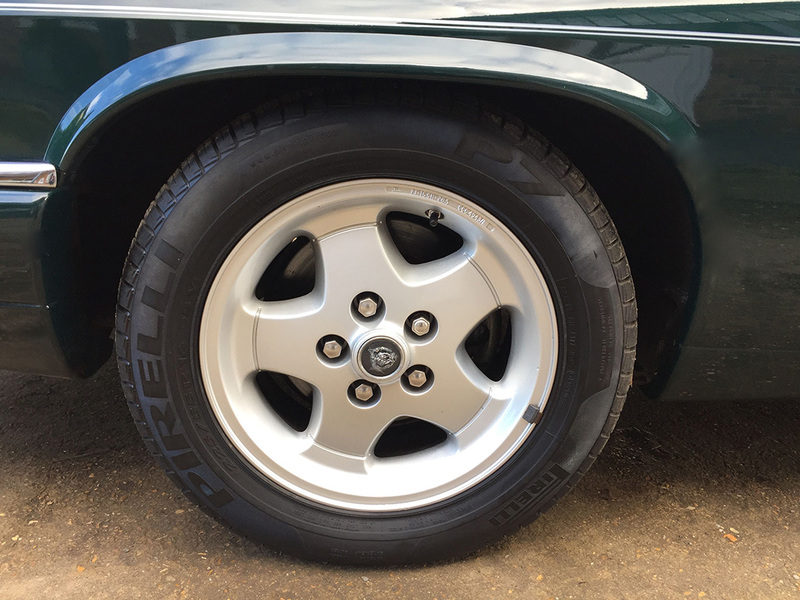 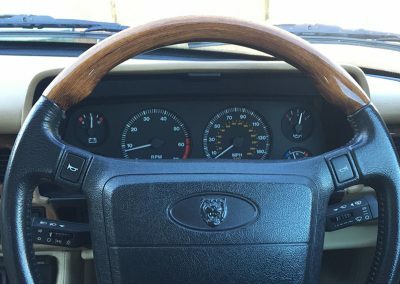 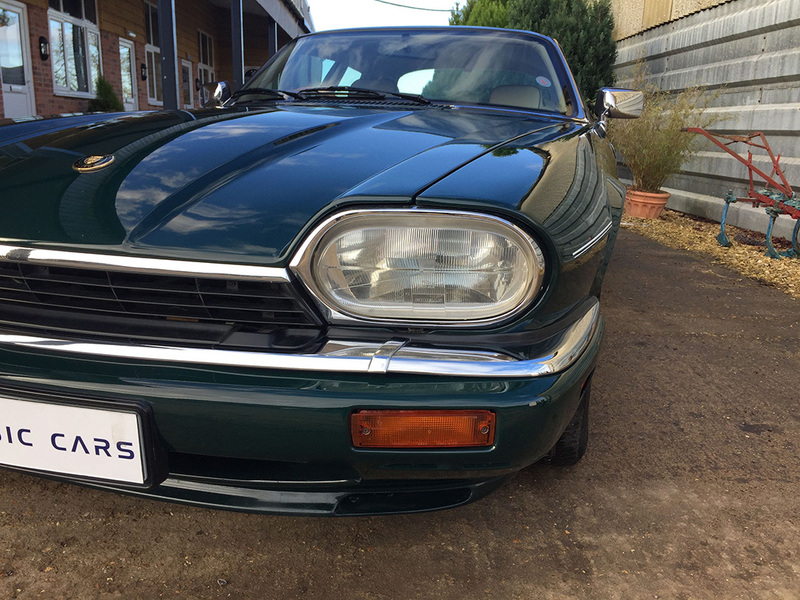 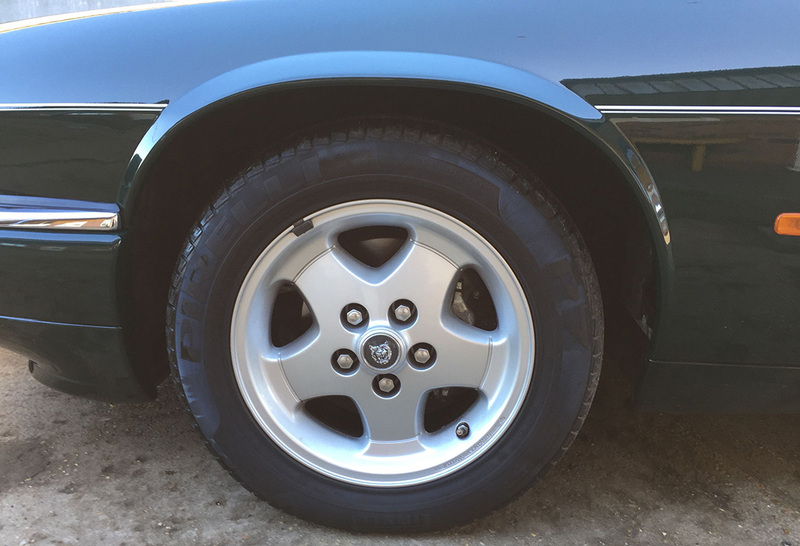 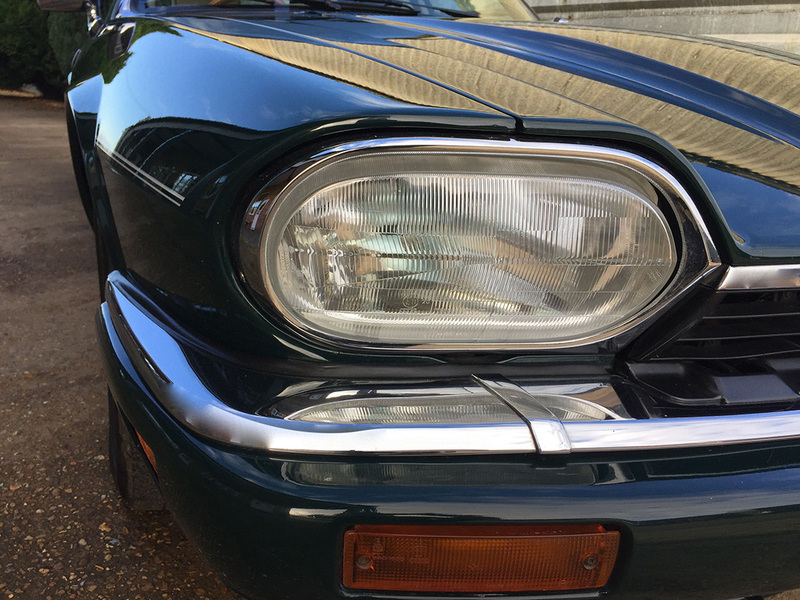 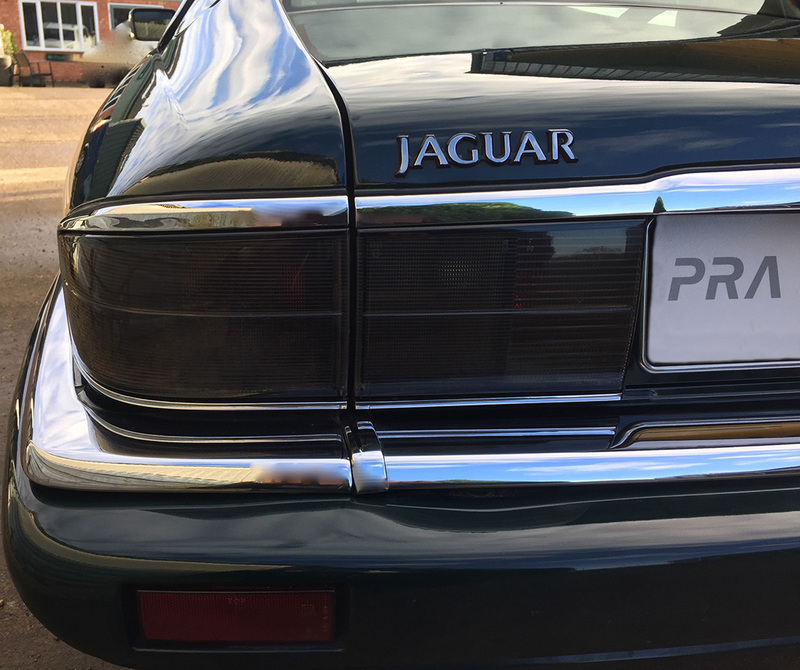 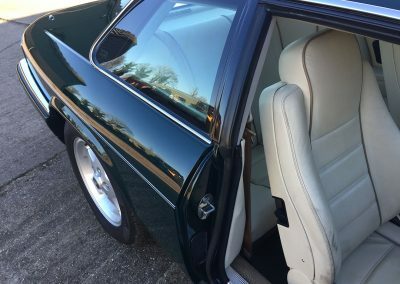 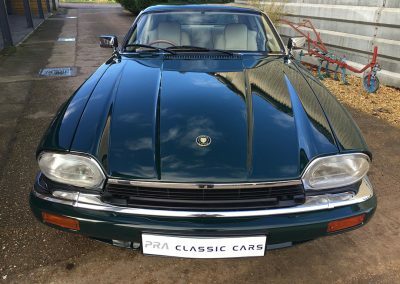 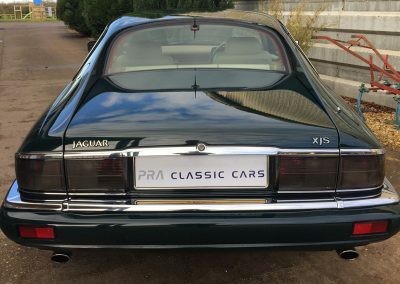 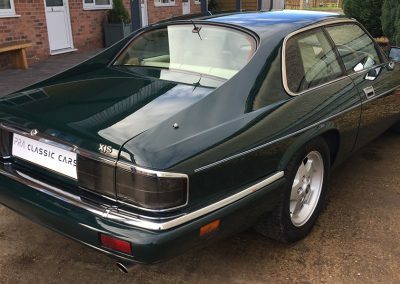 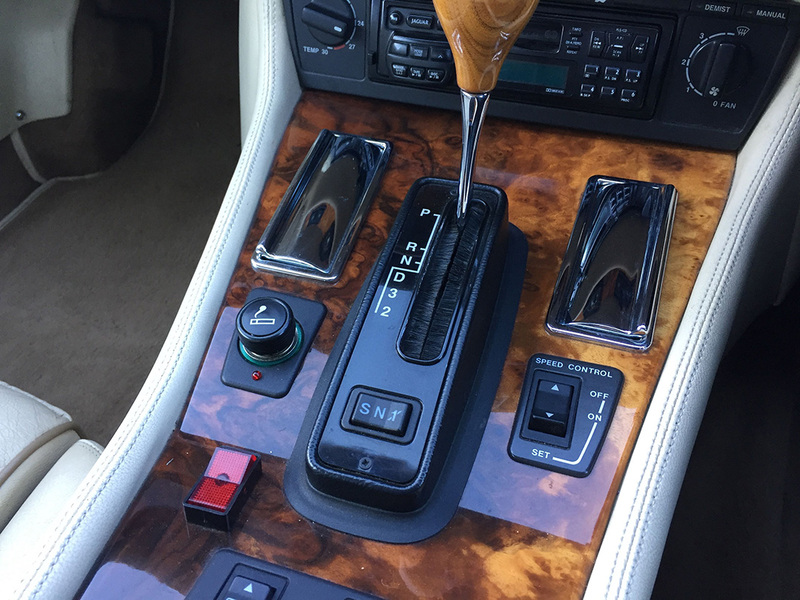 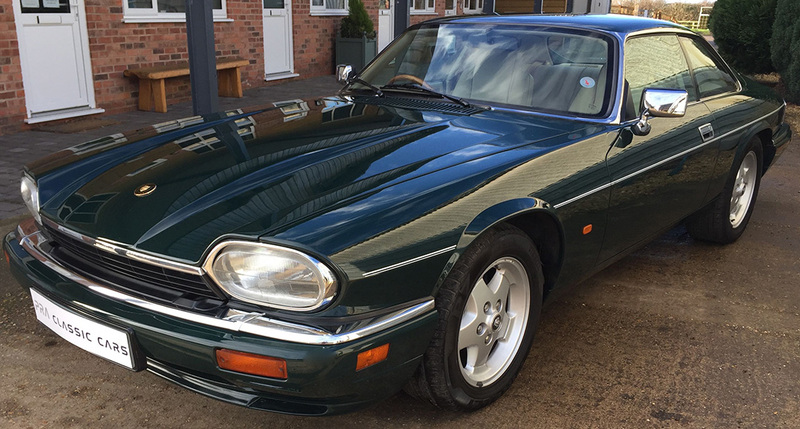 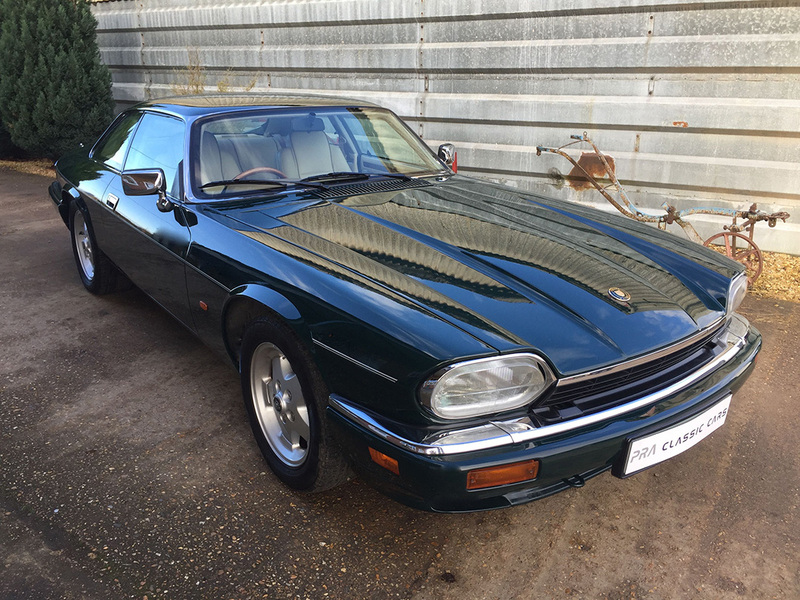 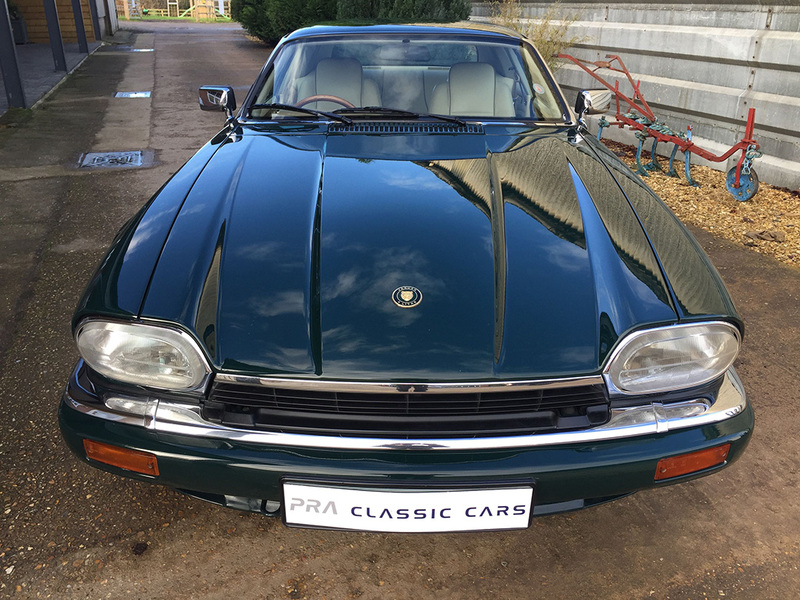 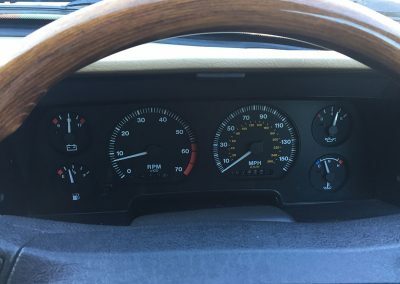 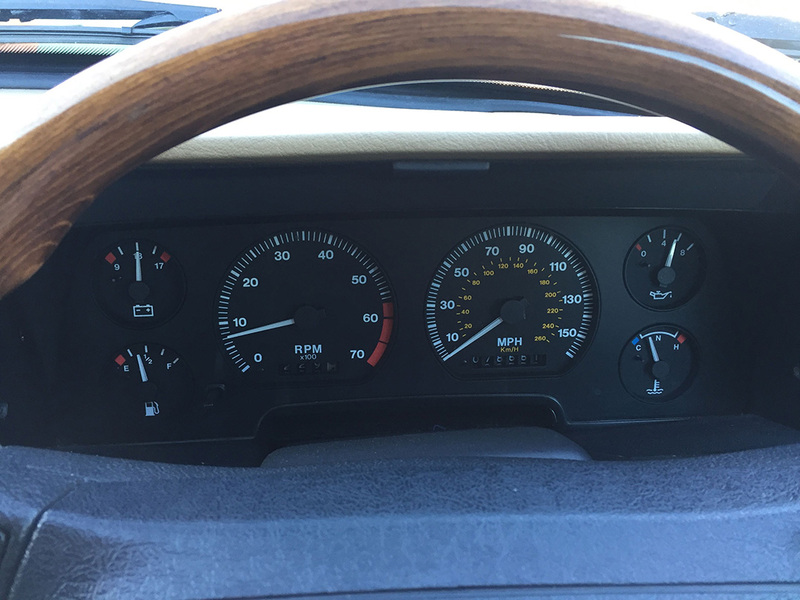 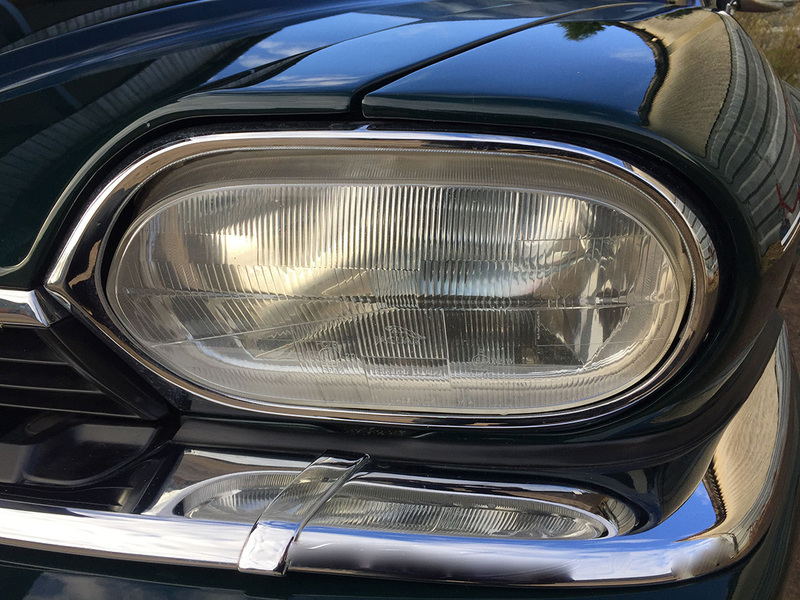 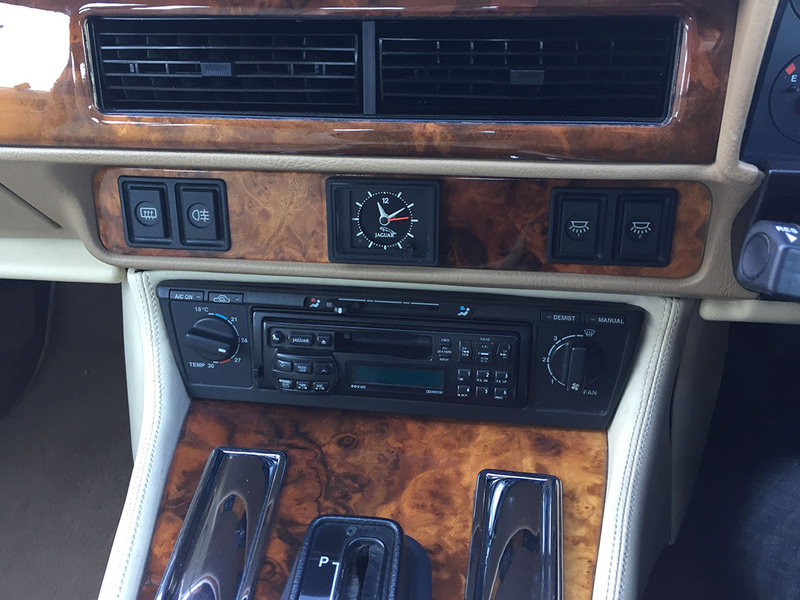 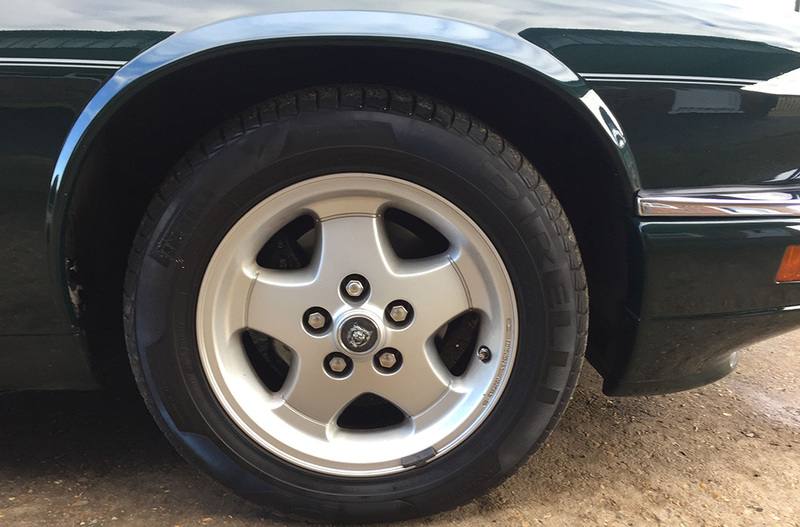 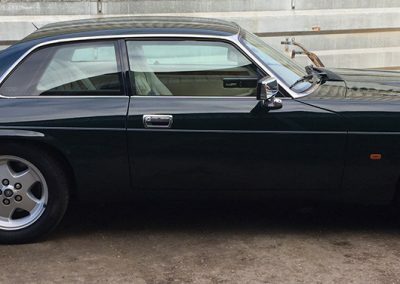 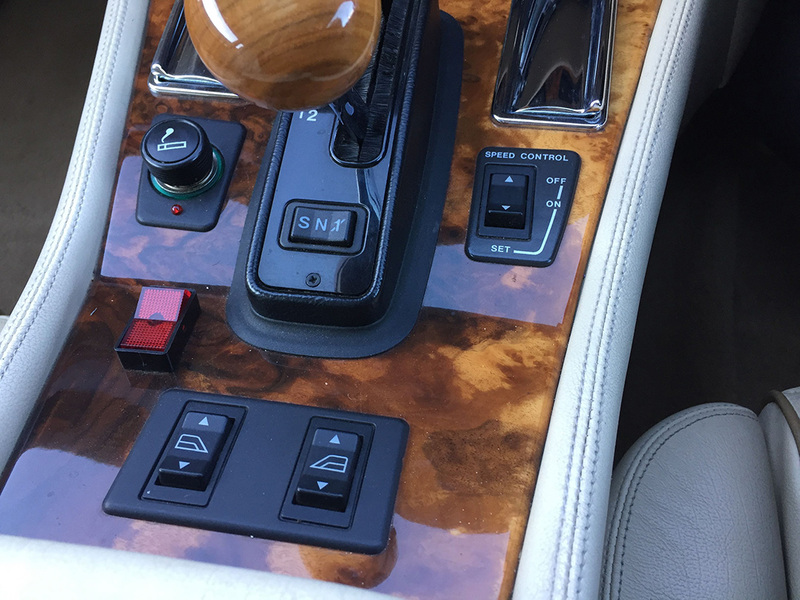 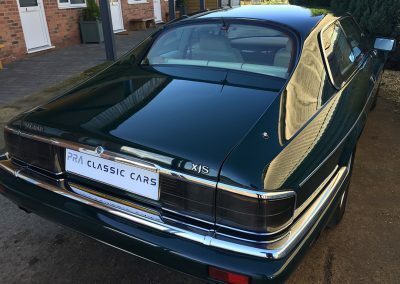 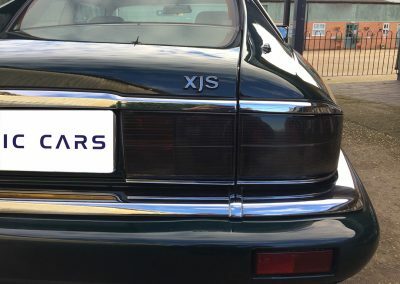 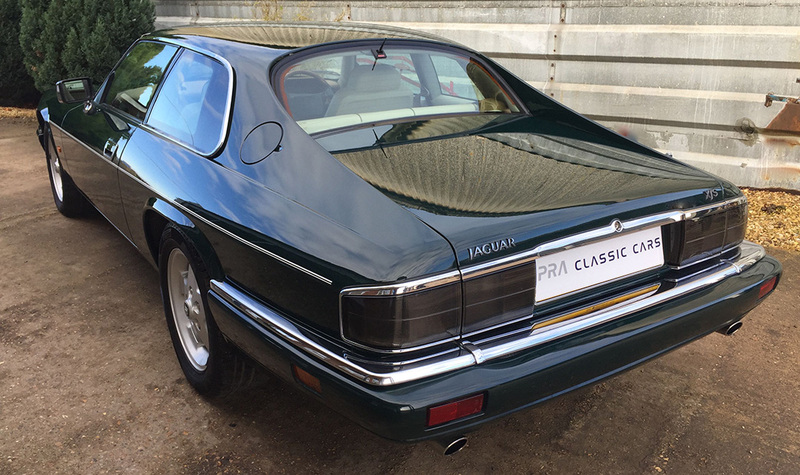 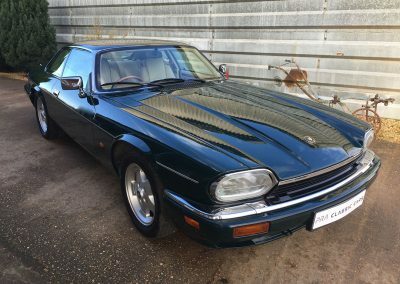 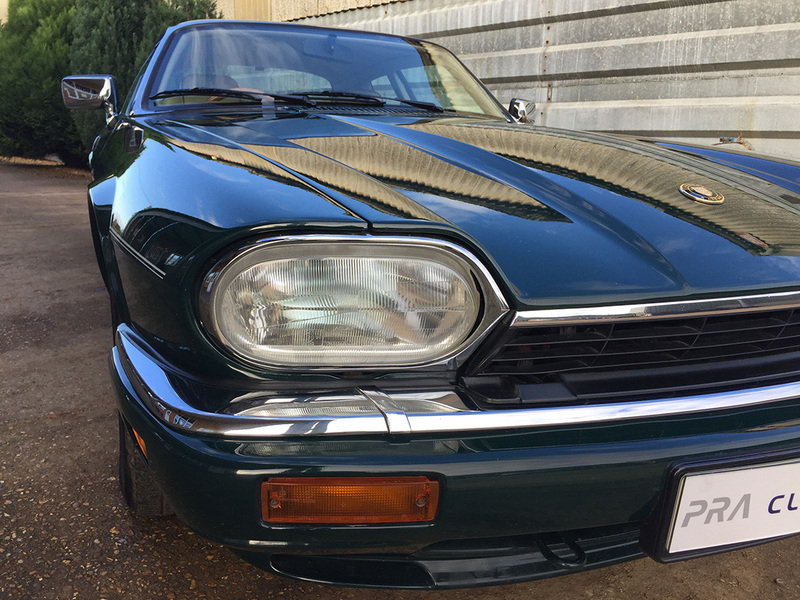 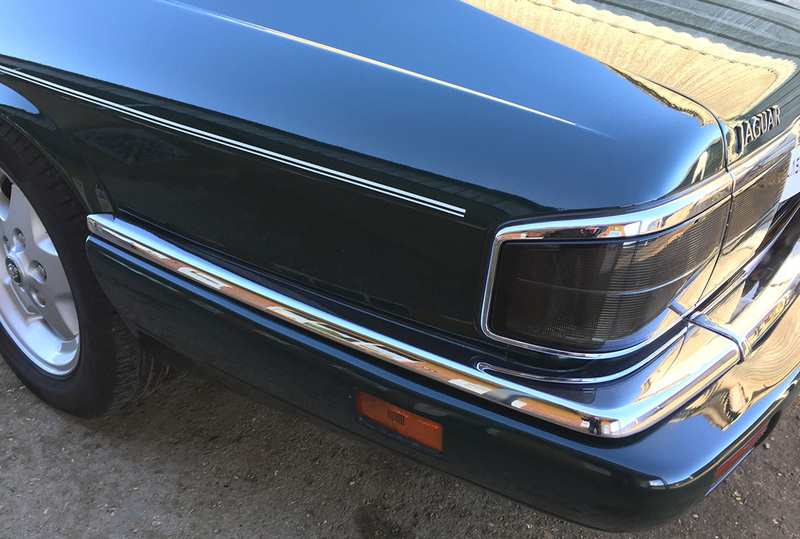 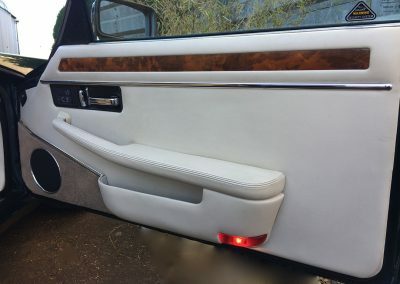 This model benefitted from upgrades such as embossed and piped upholstery, a wood and leather steering wheel and a fully galvanised body which makes this XJS one of the more desirable versions and was registered in its last year of production. 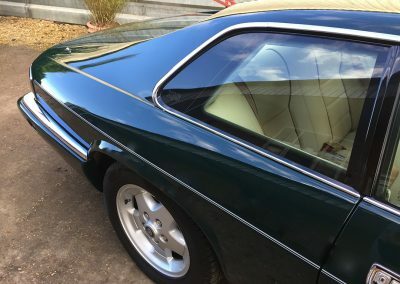 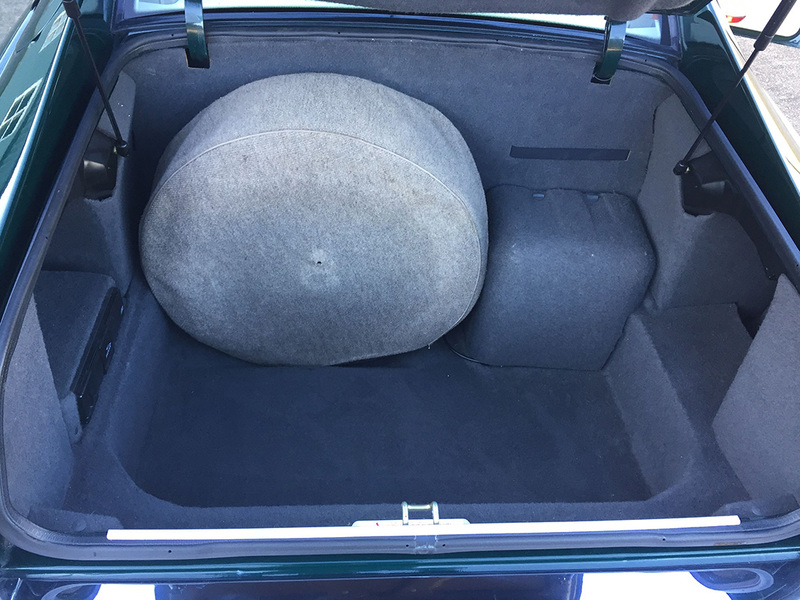 With an indicated 78000 miles which we believe to be genuine this car is finished in Racing green with parchment hide upholstery. 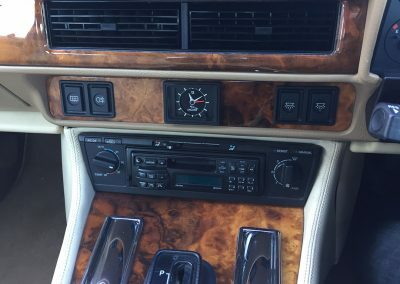 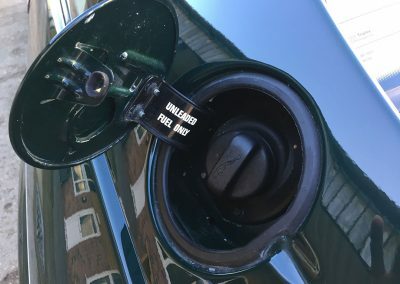 The car comes with a full service history and has clearly been well look after and maintained with invoices for £10000 in its service folder. 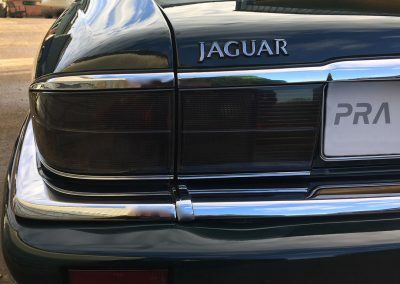 As with all our commission sales this Jaguar doesn’t come with any warranty. 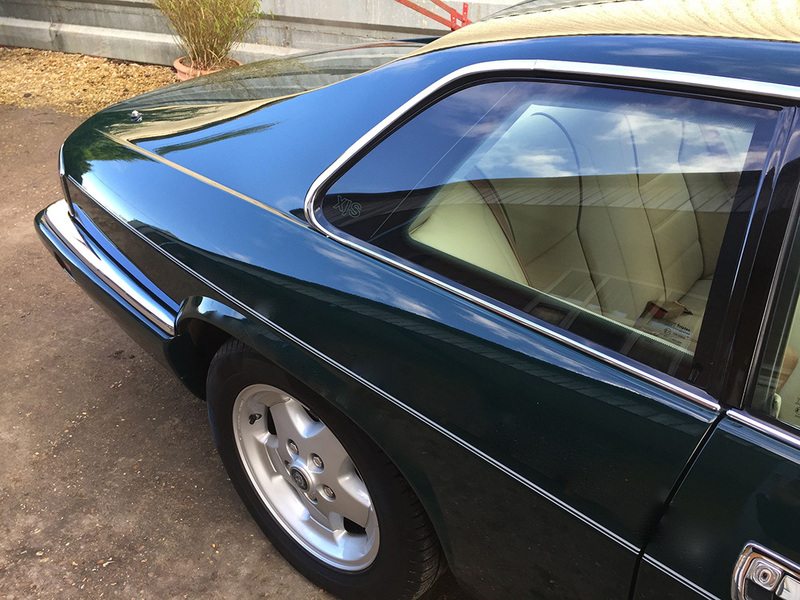 Please note that we are not aware of any faults with this car, but you are welcome to arrange your own independent inspection if you wish. 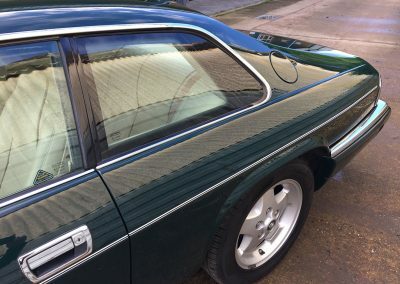 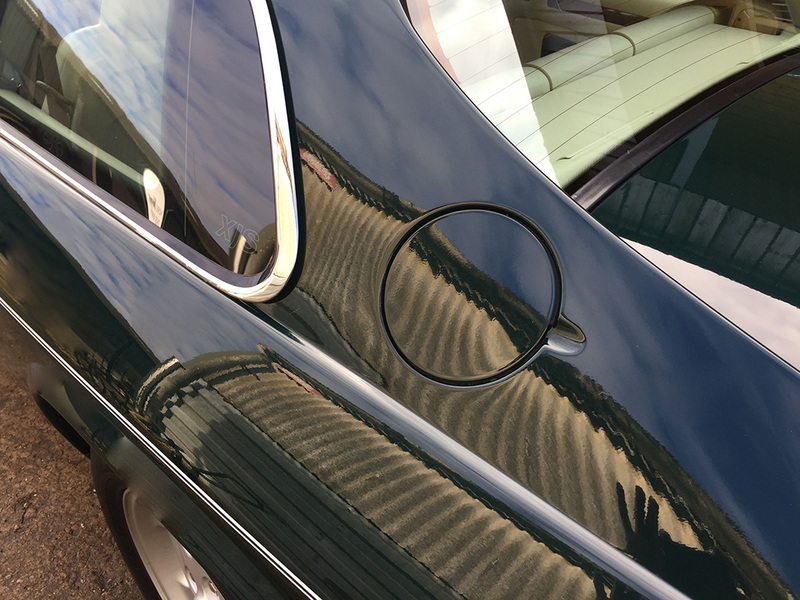 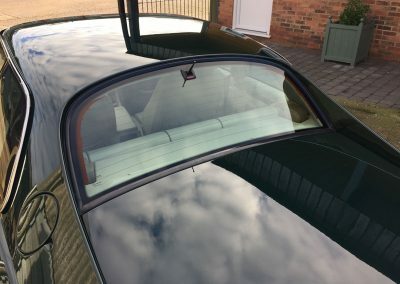 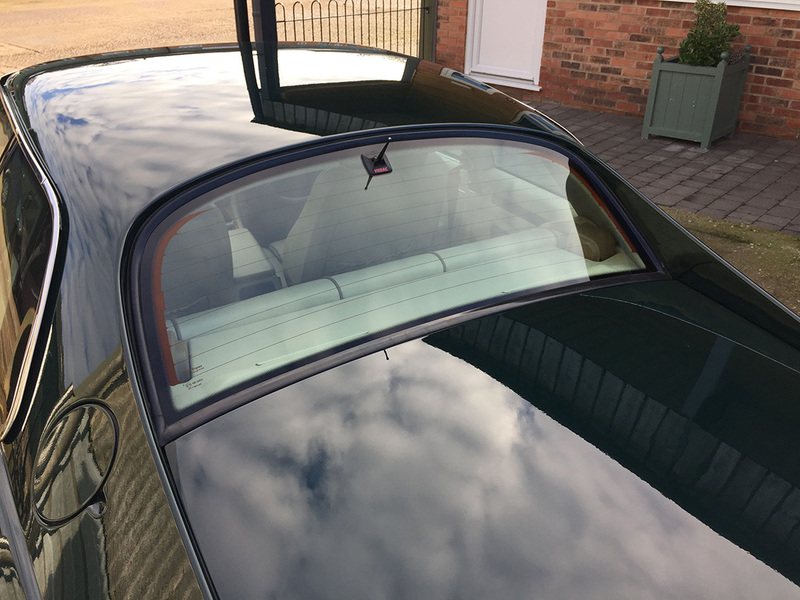 The racing green paintwork is in very good condition with a lovely deep shine. 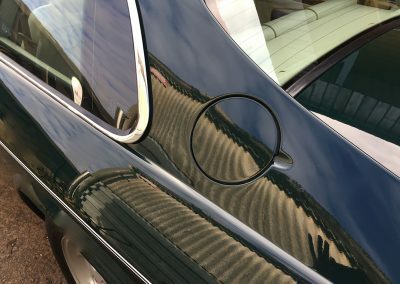 There are very few marks or scratches and in my opinion the car presents in a beautiful condition. 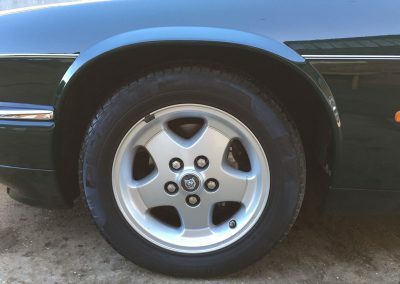 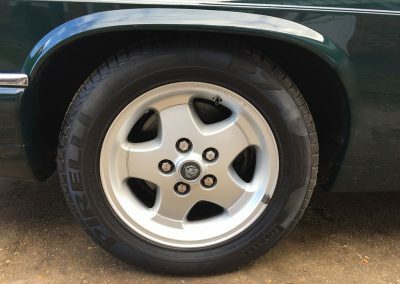 The 16” alloy wheels have been refurbished at some point and are in excellent condition as you will see from the photographs. 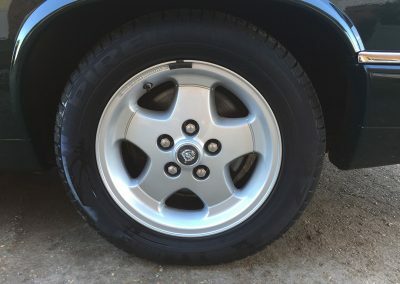 The matching Pirelli P7 tyres still have plenty of tread left on them. 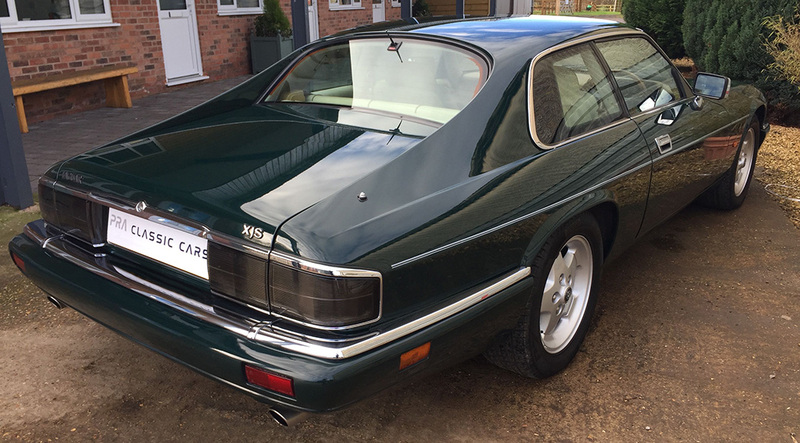 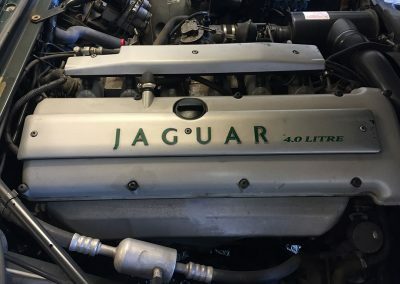 From 1994 the body of the XJS was fully galvanised helping to keep corrosion at bay and making this last version of the XJS one of the most sought after of its iterations. 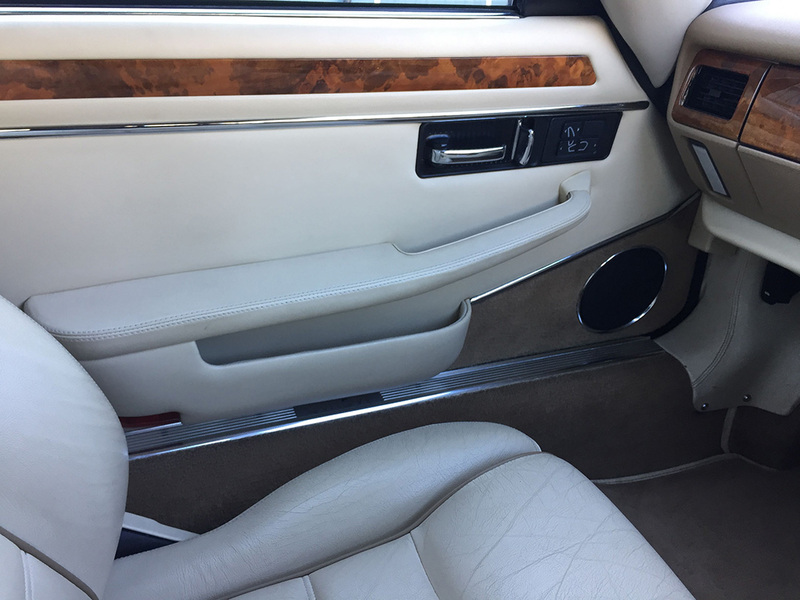 The parchment hide extends to the doors and has contrasting piping on the electric front seats. 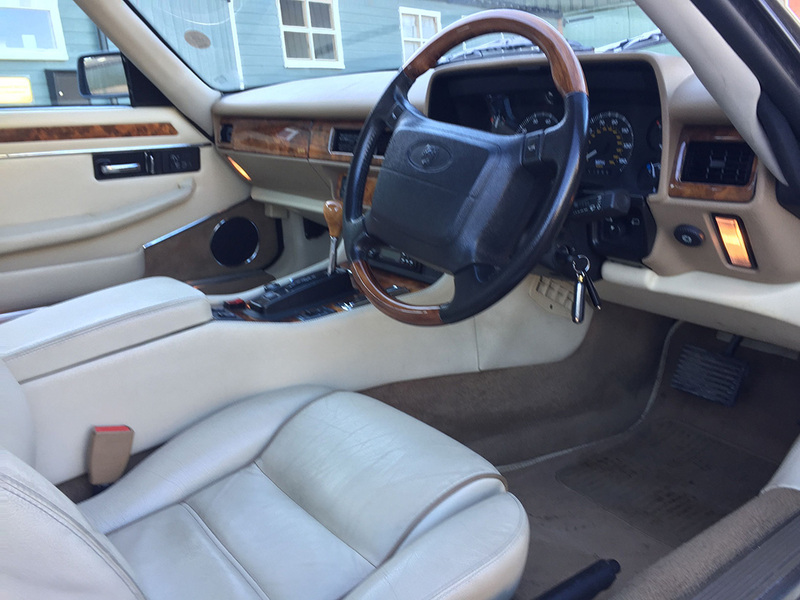 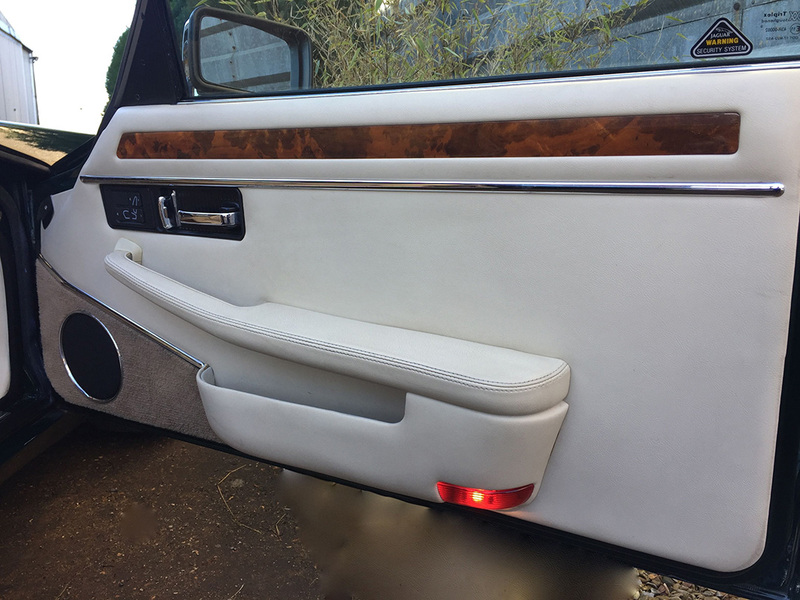 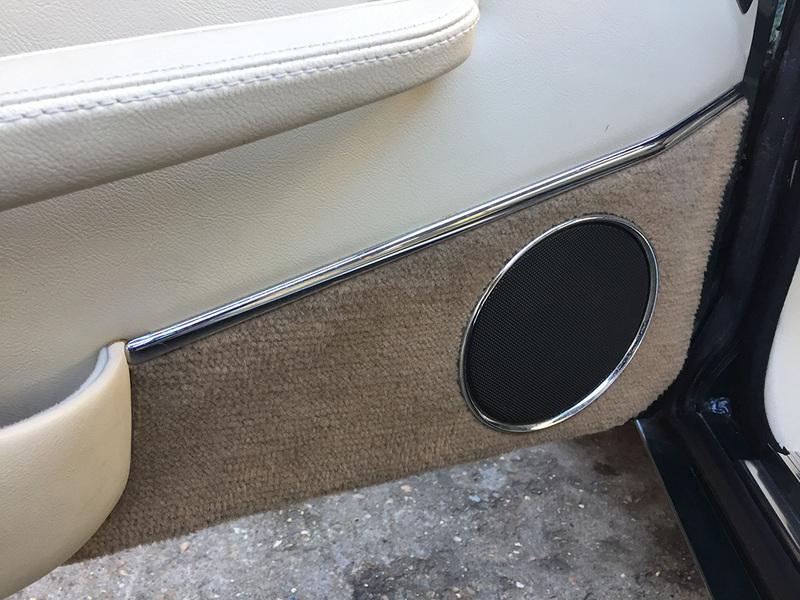 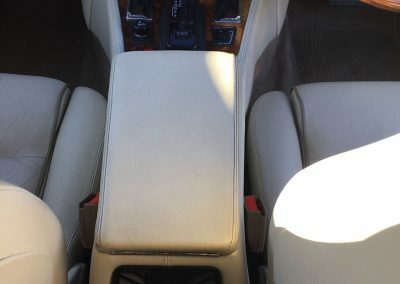 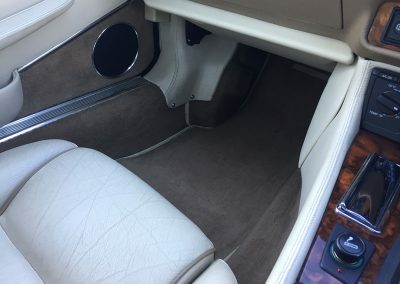 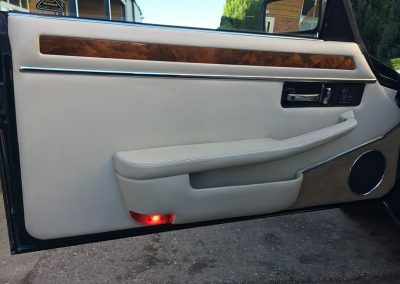 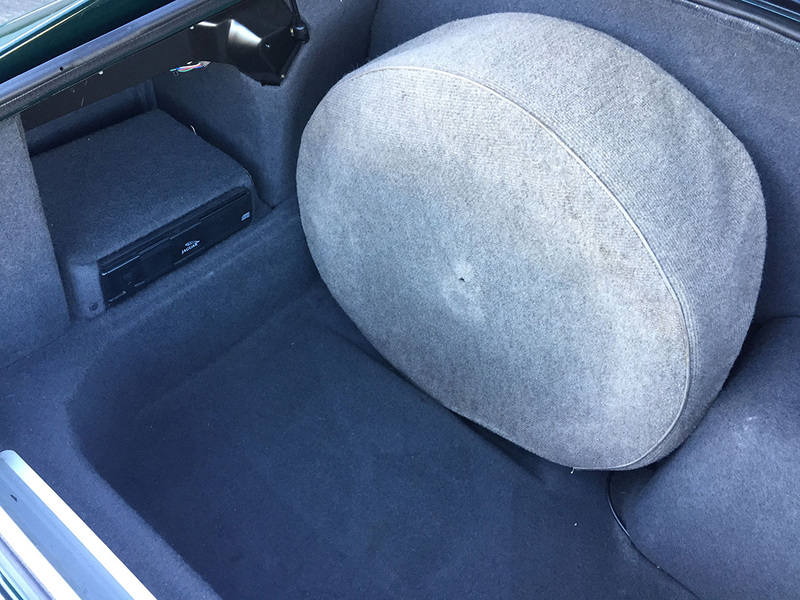 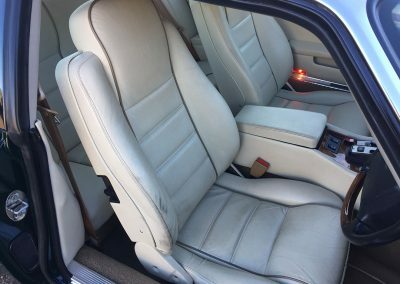 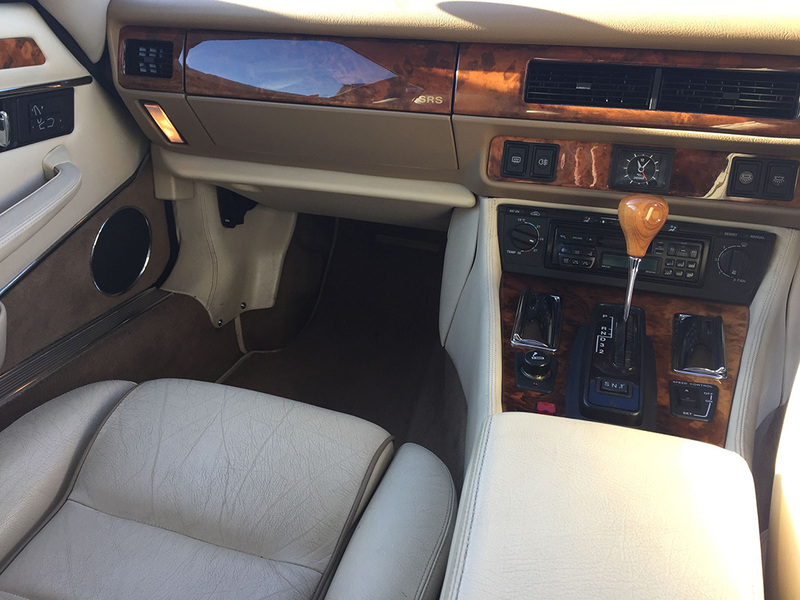 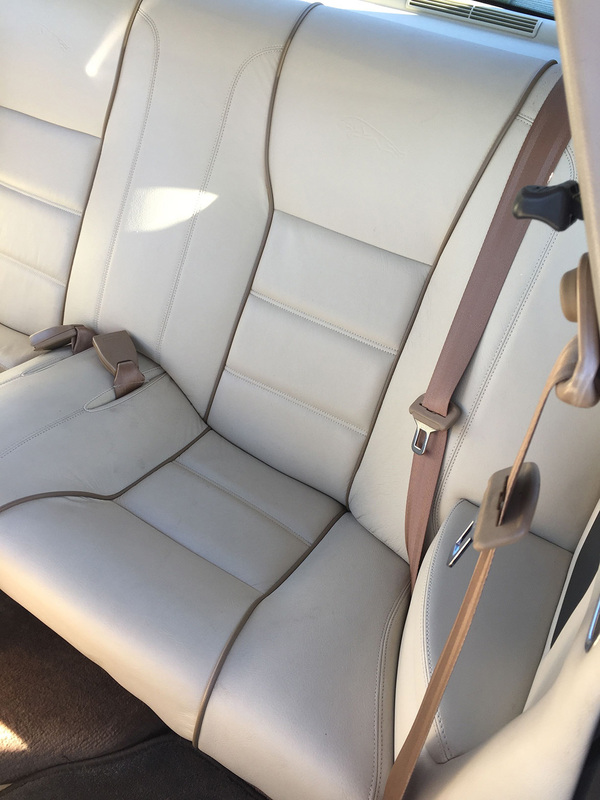 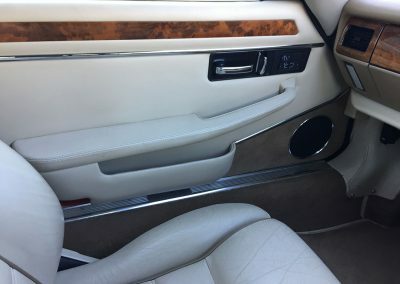 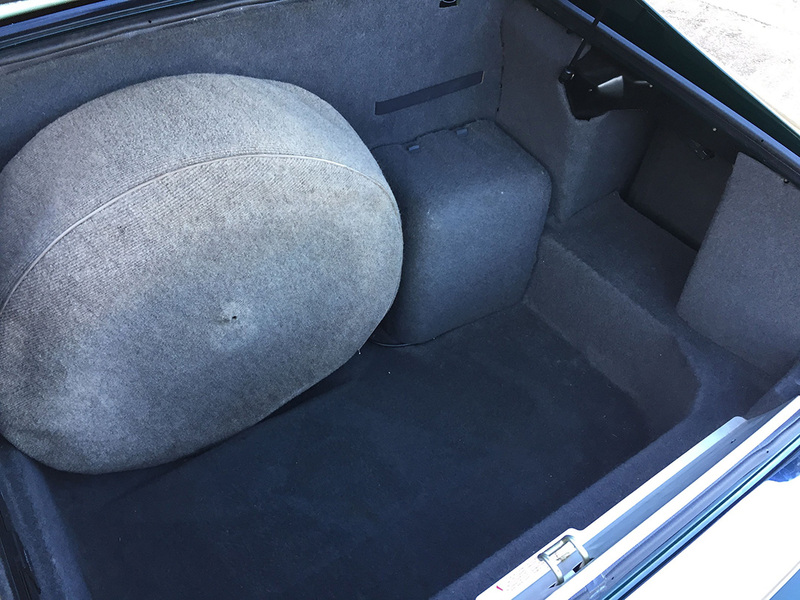 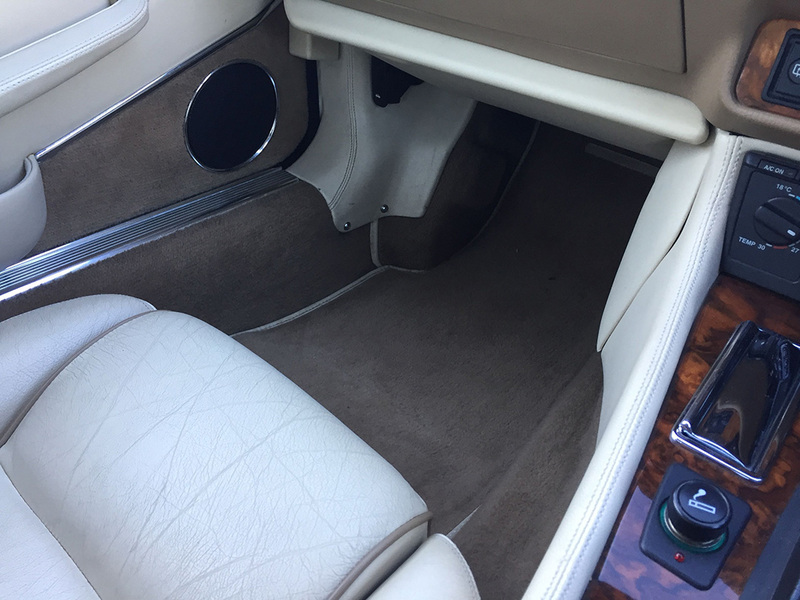 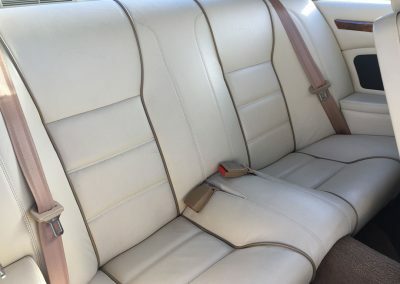 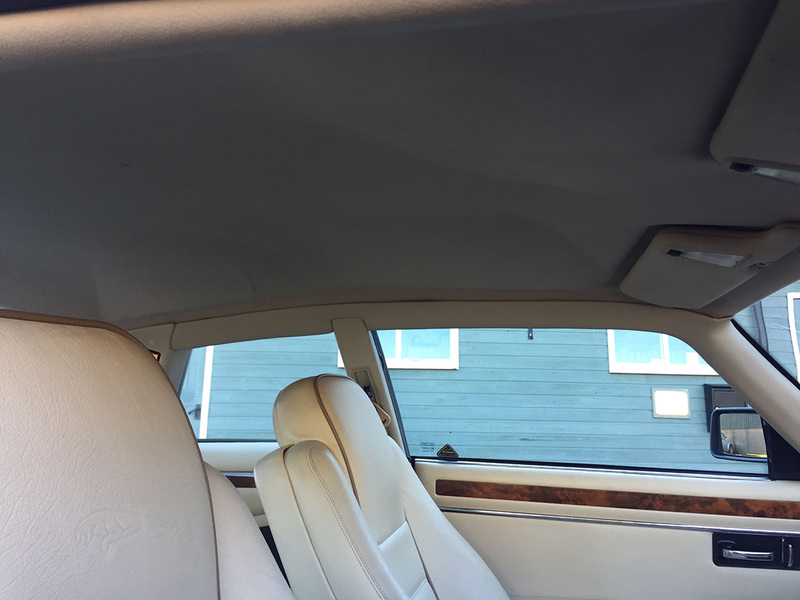 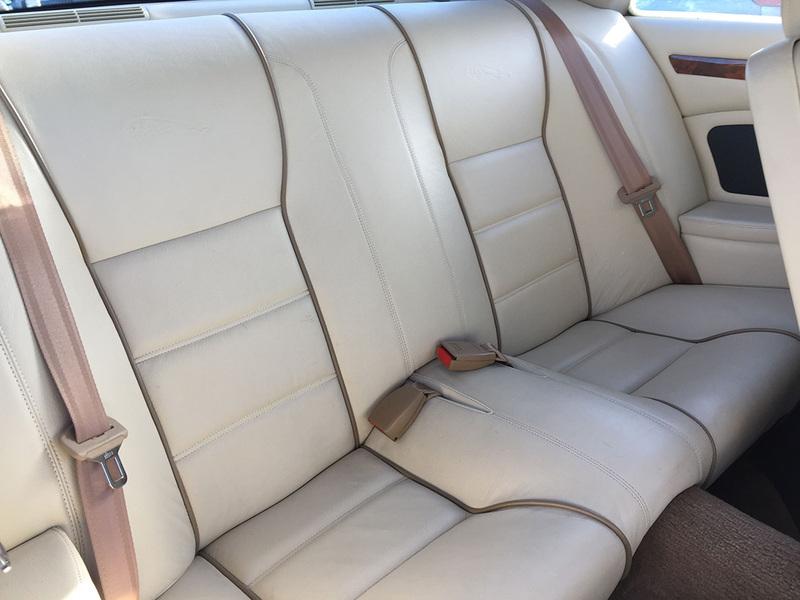 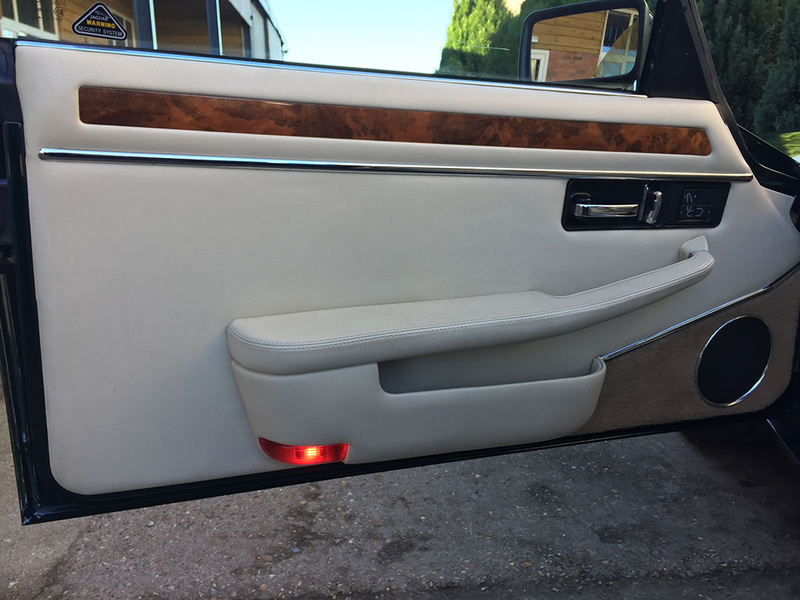 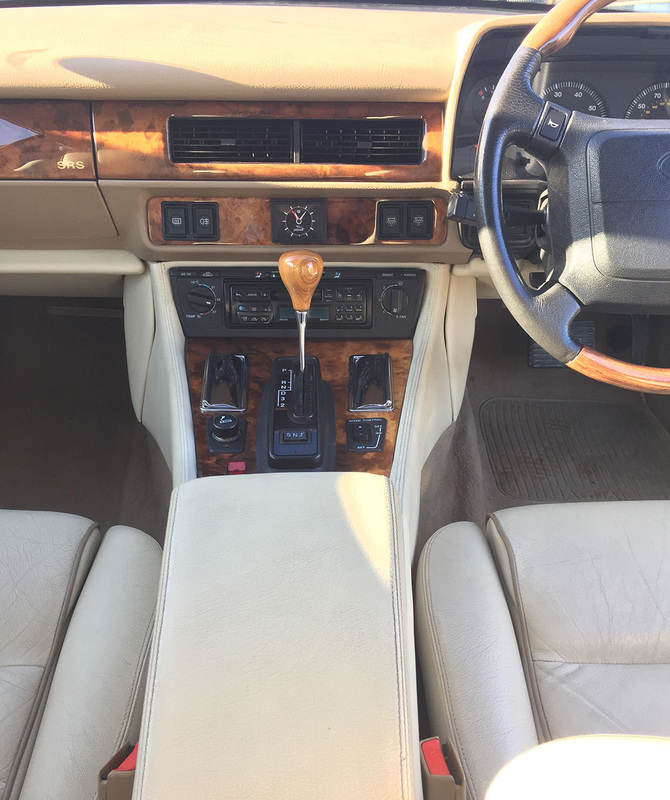 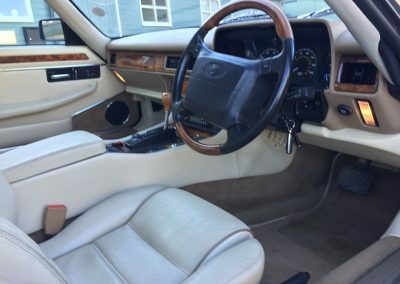 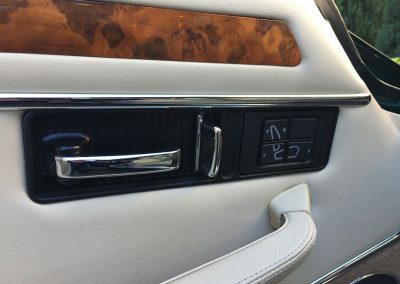 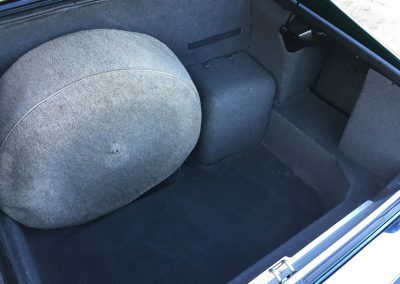 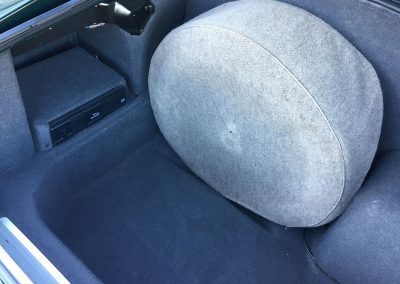 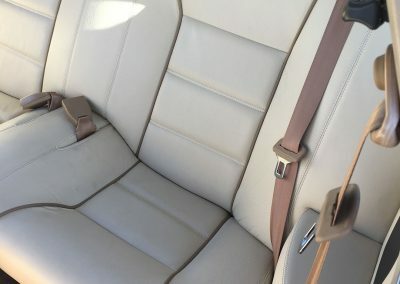 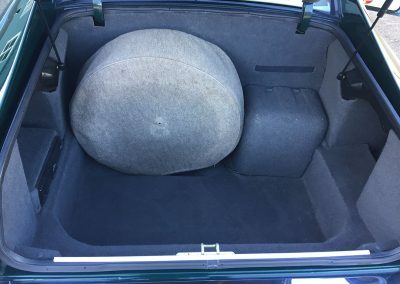 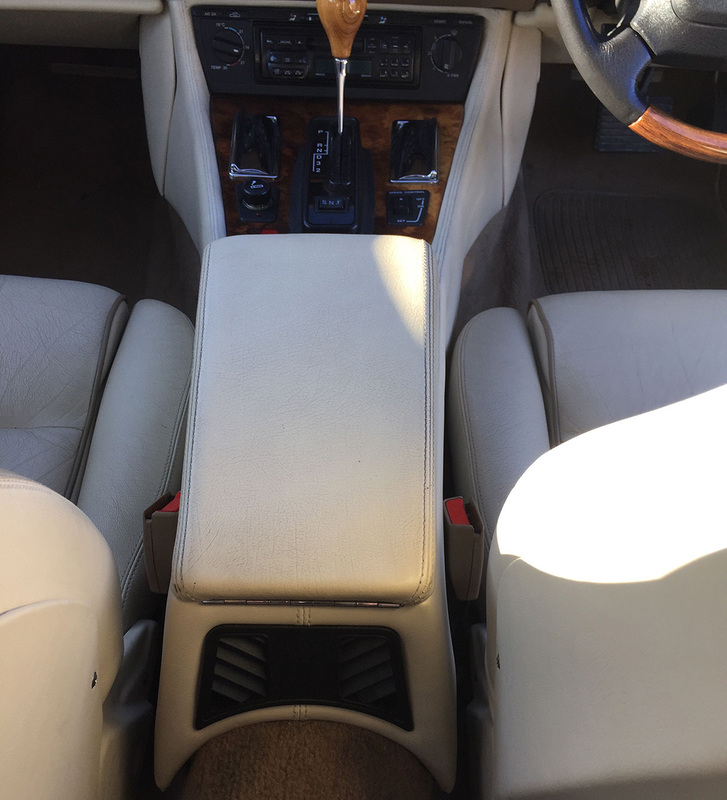 This Jaguars interior is in lovely condition with only a small amount of discolouration on the driver’s seat bolster to show the car is over 20 years old. 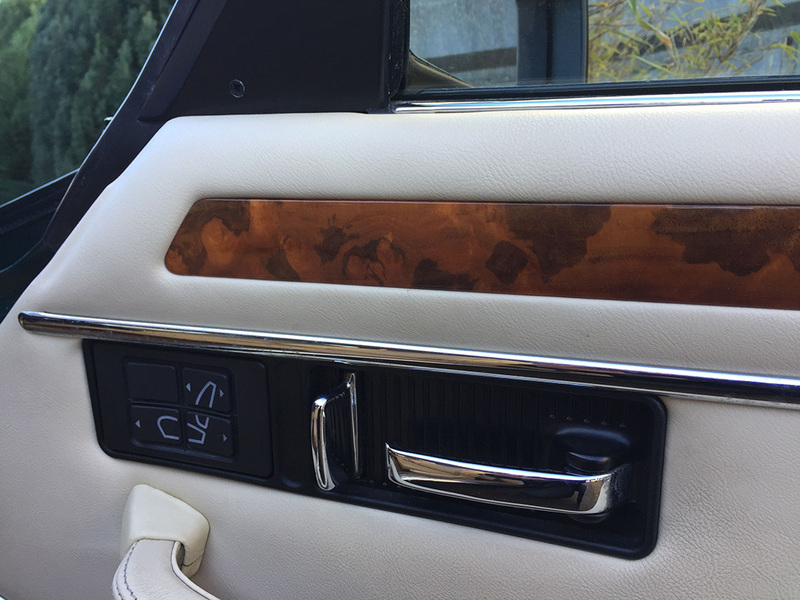 Finished with traditional wood inlays which are unmarked the headlining looks as it did the day it left the factory. 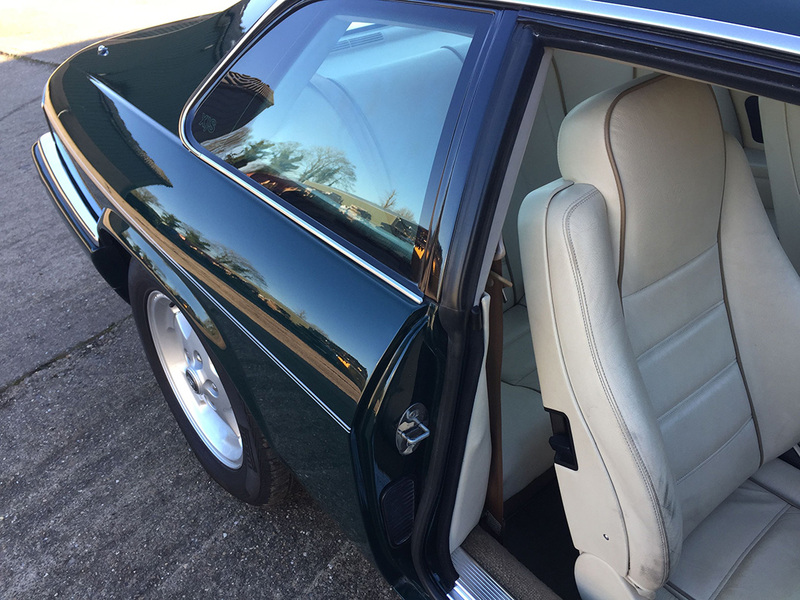 Fitted with Electric front seats, electric windows, central locking, air conditioning, cruise control and an excellent quality Jaguar stereo the interior of this Jaguar is a lovely place to sit. 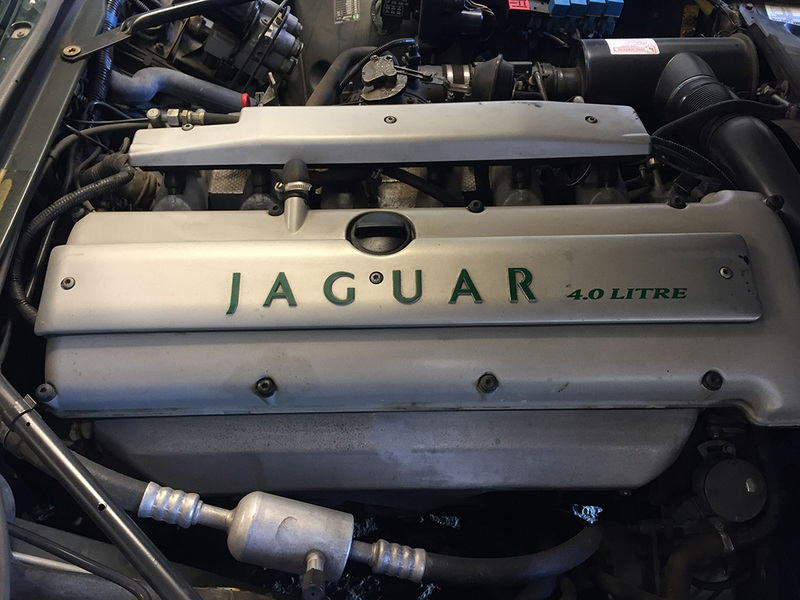 The 4.0 litre AJ16 6 cylinder engine is smooth and powerful. 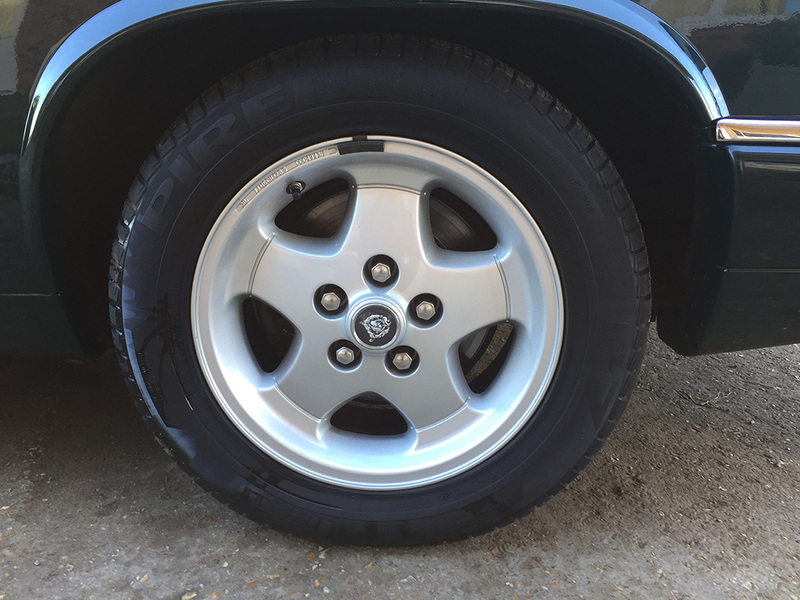 As well as being mechanically robust it offers strong performance too. 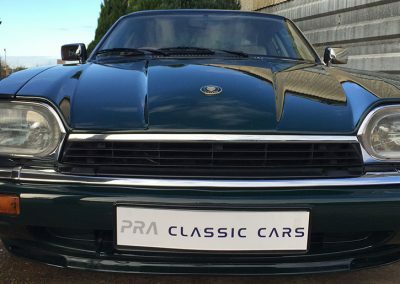 Producing 223 BHP and an impressive 278 lb/ft these cars can reach 0-60 MPH in 7.5 seconds and go on to over 140 MPH. 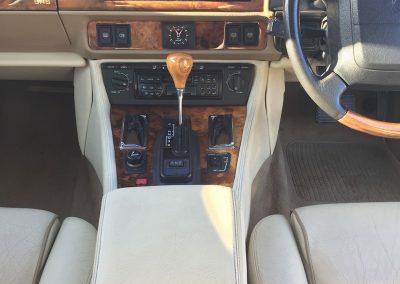 This engine is very refined, and the smooth 4 speed Auto gearbox performs as the maker intended with no known faults. 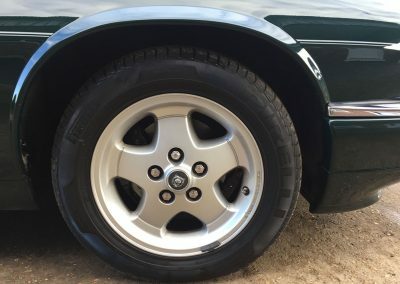 The brakes are strong and powerful and come with ABS and pull the car up straight and true without any drama. 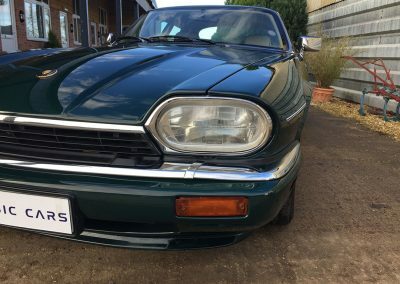 The Jaguar XJS has the following equipment. 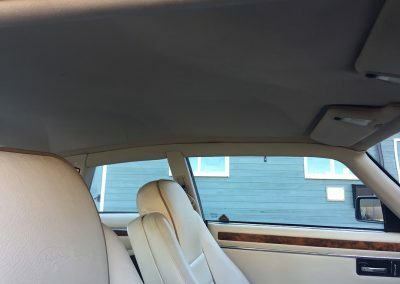 ABS, 4 speed Auto, Air conditioning, 16” alloy wheels, Electric front seats, Cruise control, Electric door mirrors, Electric windows, PAS, Jaguar stereo and Alarm system.